On Thursday, April 11, 2019 Mrs. Jean Nelson of Vermilion passed away at the Vermilion Long Term Care at the age of 85 years. 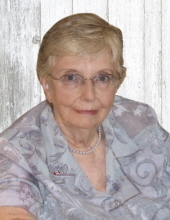 A Funeral Service for Jean will be held at First united Church, Vermilion on Thursday, April 18, 2019 at 11:00 a.m.
"Email Address" would like to share the life celebration of Jean Nelson. Click on the "link" to go to share a favorite memory or leave a condolence message for the family.